Time to get out some paper and something to write with! Answer these questions for yourself and reflect on the tips you are reading. Tip # 1: Take a look at what your feelings and beliefs are surrounding $$$! How do you currently feel about your $? How do you desire to feel about your $? Are your beliefs getting in the way of how you desire to feel about your $? How do you feel about rich people? Are they generally good people or not good people? 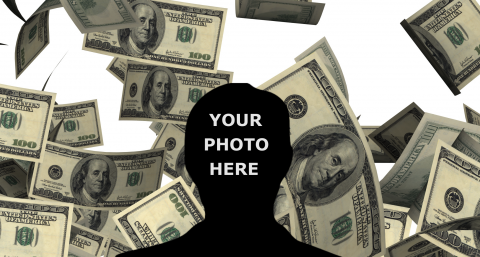 What feelings or beliefs did your parents instill or impose upon you about money? For instance, “You have to work hard for money.” ~ Is that how you truly want to be living your life? Heck No! 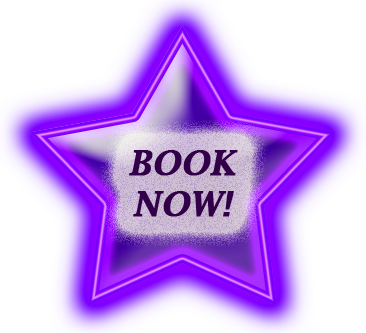 Your money is easy and fun to earn! Summary of Tip #1: Take a look at where your current feelings and beliefs about $$$ are out of alignment with how you truly desire to feel and have $ in your life. Counteract your misaligned or negative beliefs with positive statements that you constantly tell and ask yourself! Here’s one that I ran into when I was growing out of my 4 figure life~ I wanted to order a pizza, but I found myself skimping on toppings because I didn’t want to “pay for them.” I had to ask myself, “What does a wealthy person’s pizza look like?” Of course, I got all the other toppings I wanted. Even as a 4 figure earner, the $ was in my bank account for a pizza with several toppings. When I started to think like a wealthy person, I actually started to make more $ that month! Tip #2: Treat your relationship to $$$ like you would treat another human being, a loved one! Write the answers to these questions down~ If your $ were a person right now, what would they look like? What would they be wearing? How would you be talking to them? How would you be acting toward them? Do you tell them constantly that you don’t have enough of them? I don’t know about you, but anyone who constantly nags me about not doing a good enough job or spending enough time with them, even when I’m doing my best, doesn’t warrant more attention from me. Would you be ignoring them or afraid to look at them? Do you get a sinking or confused feeling when you open up your bank account? Well, if someone didn’t like looking at me, I don’t think we’d make very good friends. Do you love them? How are you showing them that you love them? Summary of Tip #2: Treat your $ like a loved one! What can you do today to show $ that you love it more? Tip #3: Create a rewarding environment for $$$. Are the top 5 people you hang out with encouraging to your wealthy mindset or do they perpetuate lack and scarcity surrounding $? How can you find more time to spend with people who have a wealthy conscious mindset, feeling, and bank account? Do the clothes you wear or the things in your home make you feel wealthy? Or do they scream, “I’m cheap,” or “I’m broke,” literally. Something doesn’t have to be expensive to make you feel wealthy. As long as it makes you feel more wealthy than you already are, see how you can incorporate more of that into your environment. Do you eat food that makes you feel wealthy or do you eat food that makes you feel poor? Summary of Tip #3: Surround yourself with things that make you feel more wealthy than you already are and little by little, find ways to cut out the things or spend less time with the things and people that make you feel less wealthy. If you would love to attend a Free Online 1 Hour Class all about how to attain more wealth, than you’re in $Luck! 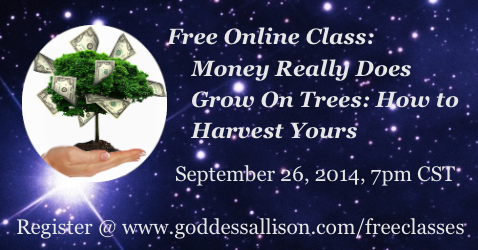 I am teaching this free online class towards the end of September 2014~ Money Really Does Grow on Trees: How to Harvest Yours. Click the image below to listen in. You said it all. Thats the main benefit of online education. One can still acquire skills from some of the schools that offer free online course. Personally, i prefer programming.